Using Excel spreadsheets to manage resources across the project and services workload is fine for small departments. However, for larger resource pools where several team leaders use their own spreadsheets, they quickly multiply. Cobbling together multiple spreadsheets to get the big picture becomes onerous and the end result can lack credibility. 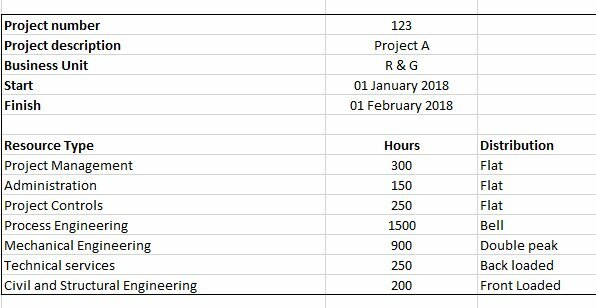 Also, whenever there is a change to a project schedule, multiple spreadsheets need to be updated if the resource implications are to be fully understood. I’m struggling with spreadsheets, what’s the next step? Innate Resource Management Software is the next logical step. With a web based spreadsheet style interface to a central database, it can rapidly convert your Excel spreadsheets into a robust, multi-user operational system. Plan new projects using project templates and see any bottlenecks as you put the plan together. Create work profiles using standard curves, with drag & drop and copy & paste to finalise the estimate. 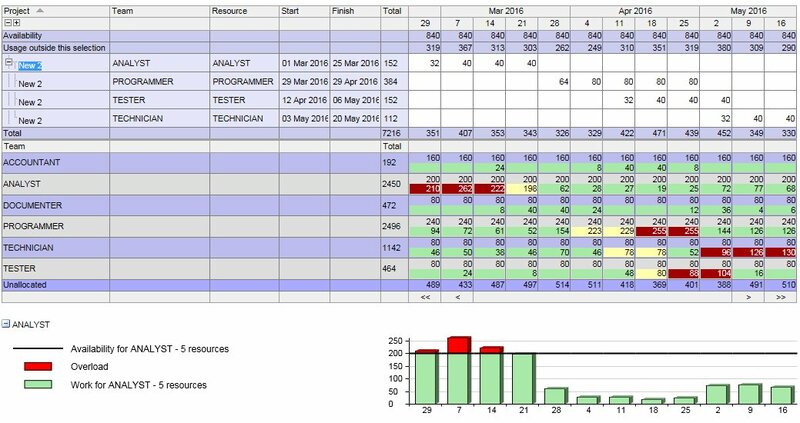 Adjust the timescales and units of work displayed. Summarise or drill down a work breakdown structure, to show work profiles at portfolio, project, or task level, for example. Switch to a Gantt chart view so that chunks of work can easily moved in time to dynamically reduce resource bottlenecks. The resource management system enables collaboration between project and resource managers with comprehensive permission settings. The impact of each change is seen by everyone who needs to know, yet ‘who can change what’ is easily controlled. Reports are produced on demand to reflect the latest updates to the data. Can we continue using spreadsheets to prepare the resource plans? As this example is pasted into Innate, the hours for each resource type are distributed between the start and finish dates to produce time-phase work profiles. Converting your spreadsheets into Innate will transform your resource management system. The data becomes current, complete and consistent, multi-user access can be controlled by workflow steps,and details of who changes what easily tracked. The improved credibility of the data gives much greater confidence in the management information.